Perhaps the natural progression from Henna then, is to look at tattoos. They're just a little more permanent than my belatedly-beloved henna, but they are also a form of art in their own right, with some equally stunning and beautiful designs. My problem, and I suspect I'm not alone in this, is that I'm too fickle and non-committal when it comes to the crunch. If I designed something now, I just know that in a few years time I'd want to delete the HTML code and re-design it. Except it isn't code, and it doesn't quite work like that. One way of achieving the 'Tattoo look' without all the baggage of the tattoo permanent-ness, is of course Black Henna. But black henna is genuinely unsafe and can cause horrific skin reactions, so it comes with a whole different kind of baggage that I just cannot take the risk on. I knew a girl who had black henna applied, and it actually scarred the design into her skin. Kinda defeats the object, no? So if you're after that Tattoo look, without the tattoo permanent-ness and you've way outgrown tattoo stickers you're really out of options, right? That's what I thought too, until my sister told me just how wrong I was. She told me all about something called Jagua. 'Oooh, what is Jagua?' I hear you ask. Well, it's a form of henna used by Caribbean and South American indigenous communities, taken from the Jagua fruit. 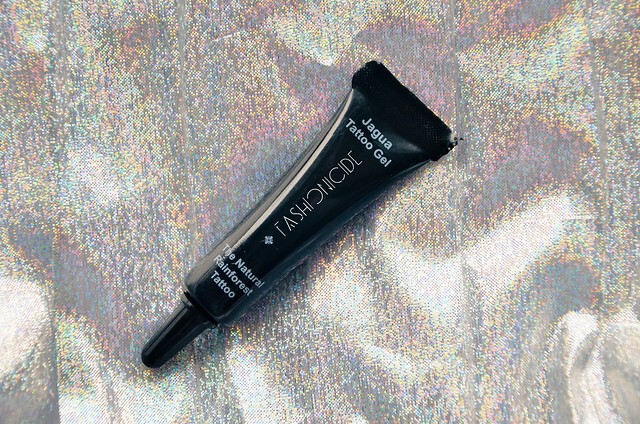 Similar to Henna, it only penetrates the top layer of the skin, but unlike Henna, it darkens overnight to a dark black/blue colour, which leaves an effect looking remarkably tattoo-like! Another similarity Jagua has to Henna is the heat-sensitivity. As you'll notice, around my fingers, the design appears very, very bold, whilst on my hand it's just a touch less so. This is because Jagua, like henna, develops best at warmer temperatures. So my cold hands didn't quite let it develop as well as it could have. A mental note for next time, sit in front of the heater, palms out! So, there was only one thing for it then! I managed to purchase some Jagua from trusty eBay, offered myself up as an unpaid hand model (modern-day slavery?!) and let my sister create a freehand design. 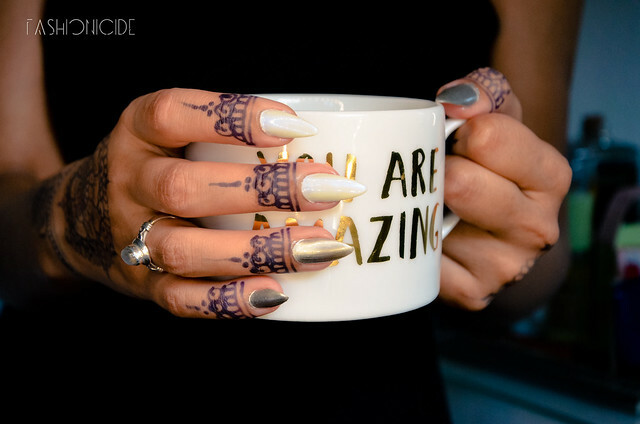 As you can see, the design itself is beautiful, but more importantly, the tattoo effect of the Jagua is evident - it doesn't quite look like a tattoo, and it doesn't quite look like henna either, it's almost like a fusion of the two. In a way, it looks a little bit like it was created with a sharpie or a felt tip pen! The product itself is of a gel-like consistency. Once applied, the design will dry within about an hour or two. I left mine on for about two hours before washing it off. Then all you need to do is simply leave it alone overnight and you'll wake up to an incredibly rich, dark navy blue colour. The stain is supposed to last for around two weeks, but I have a bad case of hand-washing OCD so mine lasted for about a week. 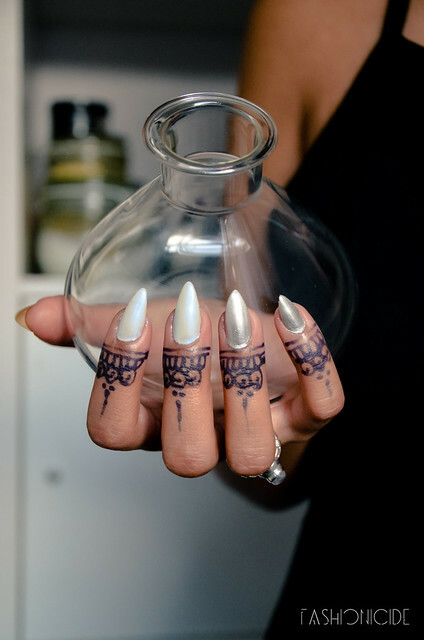 So there you have it - a Jagua 'Tattoo', for those who just can't make up their mind, and for those who are (quite rightly) terrified of the dangers of Black Henna. 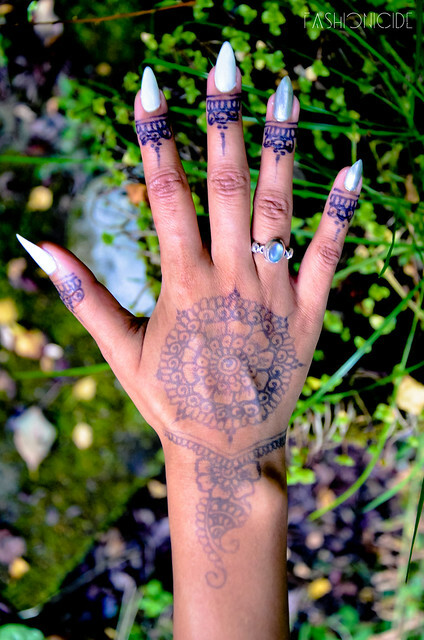 If you're seeking that Tattoo look, or if you love your henna and just want to try something that looks a little different, Jagua is your safe alternative. I LOVE Jagua. Me and Nigar are big fan. Been using it for a couple of years now. [on list of things to blog about when we get around to it lol]. I love the stain it leaves. I'm not a fan of how mehendi looks, i.e. the colour (or smells). I also get mine from Ebay. I do find it pricey for the amount and I'm annoyed at how much cheaper it is in America [Amrica ;)] but love it nonetheless. I'm a massive fan of Henna, Its such a beautiful art! Love it! How I would love to have someone on hand to let me be their hand model. I've never had Henna before, because of the health risks but i always thought it was beautiful. I have never heard of Jagua before but it does sound great.